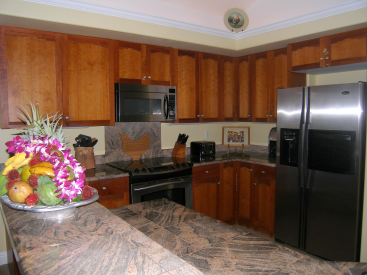 Villas of Kamalii #10 is located on the Woods Nine at Makai Golf Club and at the higher elevation within the development and may be considered the best location in the development. 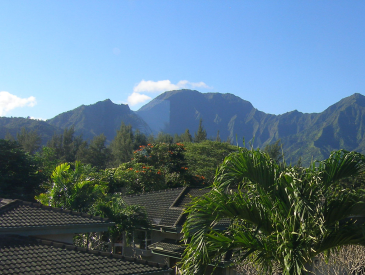 Trade winds flow through the townhome. This attached two story is situated in a premier location with windows on three sides. 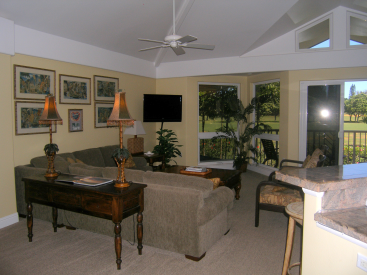 It offers expansive golf course views from the rear and mountain and waterfall views from the front of the home. 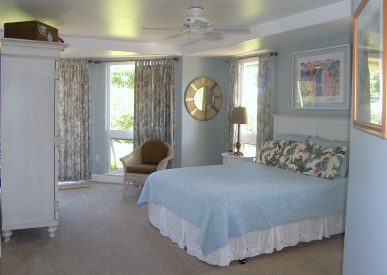 The 3 bedroom/3 bathroom offers two master bedroom suites on the lower level. One of the master suites has a glass block walk-in shower. The second master suite has a jetted tub. The upper level has vaulted ceilings and a very open floor plan for the living/dining rooms and kitchen. 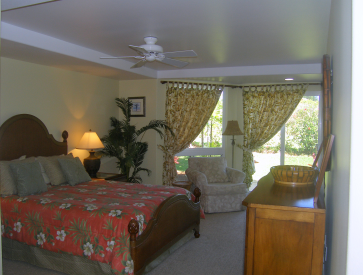 The third bedroom and third bath are also located on this upper level. 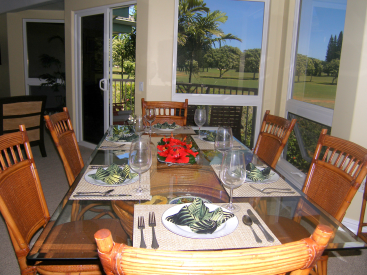 The upper level lanai is great for enjoying the views. Single car garage. Stacked washer/dryer laundry. Furniture and furnishings are included. This gated community has 59 townhomes and offers a heated swimming pool, hot tub, and BBQ grill.